I have said it before, but it bears repeating, that I am often struck by the careers of many of our members who have come from rather humble beginnings. Dennis Woodford is no exception. He was born in Melbourne, Australia. His father, a WWII veteran, worked for the Wool Commission and qualified for a soldier’s settlement at Bobinawarrah East, a speck on the map southeast of Wangaratta in the Great Dividing Range area. This was Ned Kelly country and several of his artifacts have been found there at Bobinawarrah, not far from Glenrowan, Kelly’s last stand. Dennis attended a one-room, one-teacher, 12-student school from ages five to 12. Most of the kids rode horses to school; Dennis a bike. He then went to Wangaratta Tech for six years that included two years in electrical engineering. He moved to the Royal Melboune Institute of Technology (RMIT) and completed a diploma in electrical engineering. He transferred to the University of Melbourne, and earned a Bachelor’s degree in the same discipline. It was here he met Janet Williams, an American who was also studying there. More on that later. In 1966, Dennis joined an international engineering company and after one year transferred to the UK, working there for 2½ years. Janet came over for a while in 1969 and in 1970 they were married in Oakland, CA. Dennis accepted graduate work at University of Manitoba for two years. He was next with Manitoba Hydro for 15 years. In 1986, he was appointed Executive Director of Manitoba HVDC Research Centre until 2001. Without getting too technical, hydro power is generated in alternating current (AC), converted to direct current (DC) for transmission purposes (less line loss), and reconverted back to AC near Winnipeg. And don’t get Dennis started on the latest Bipole III controversy! Dennis has now started his own consulting company, Electranix Corp., working with major electrical engineering equipment suppliers of wind farm development and wind turbine and DC manufacturers around the world. They do specialised power transmission studies in Malaysia, South Korea, Australia, New Zealand, USA, Canada, UK, Sweden, Denmark, Germany, Spain and Italy. Janet was born in Twin Cities, MN. Her father was doing his doctorate in agricultural chemistry and moved to Berkeley, CA, where she went to school. (Remember the Vietnam War protests there?) 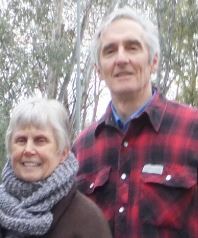 The family then moved to Melbourne for a sabbatical year in 1965 where Janet attended university there and met Dennis. She completed an Arts Bachelor degree in Russian and Biology at the University of California in Berkeley. She also did one year of teacher training. The Woodfords have three children – Scott is in Austin, TX, Becky in Seattle, WA, each with three children, and Roger in Toronto, ON. Janet looks after Dennis’ company as Executive Assistant. They travel a great deal and were in Oz last February and August. They found out about the DUCW through Norm Griffiths, who has known them for many years. Dennis is kept busy with his business interests, but goes to the Refit Centre four or five times a week. Another impressive career for a kid from Bobinawarrah! 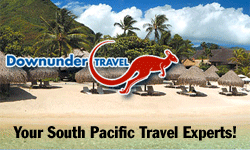 This entry was posted in Australia, Getting to Know on March 12, 2014 by Hydesmith.